Access to difficult to reach taps on bath and basins. 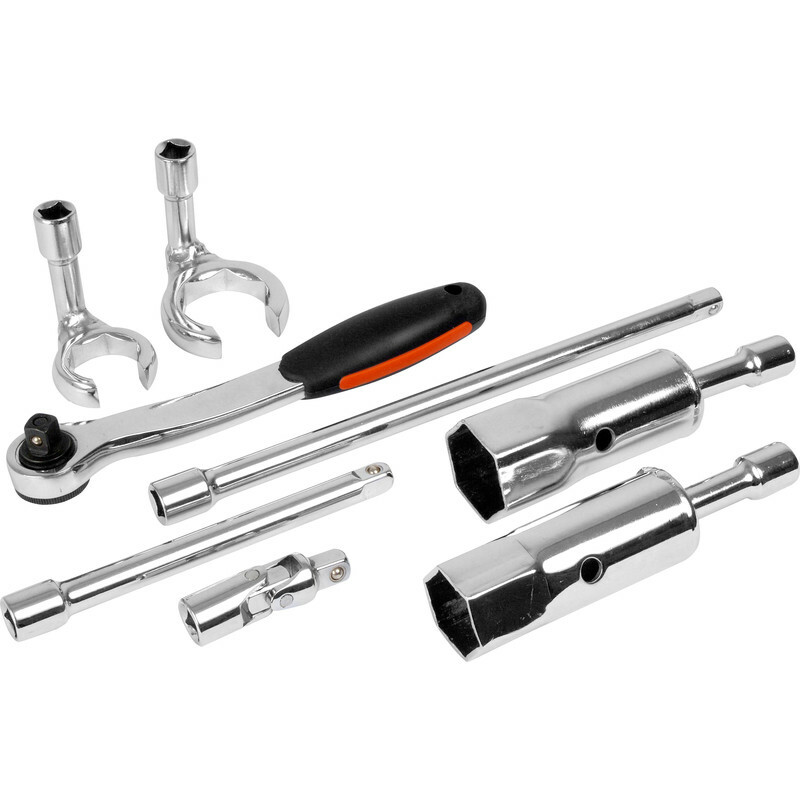 Box spanner enables taps to be tightened or loosened in restricted apertures. Extension bars ease access to taps on baths. Split ring spanner speeds tap connection assembly. Tap Backnut & Tap Connector Set is rated 4.2 out of 5 by 64. Rated 5 out of 5 by Perry525 from Works in nearly impossible situations . My wife decided on new taps for our toilet. Problem, tiny corner fitted handbasin. No way could I access the pipes with any of my existing tools - solution scour the internet and here was my solution - this kit made the impossible, possible. Rated 5 out of 5 by Toyota from Very handy tool These make life really easy when removing and refitting taps, I would say a must in any plumbers tool bag. Rated 5 out of 5 by Ian_B from Brilliant tool for a specialist job. I was stuck with a really tight tap re-plumb at full stretch. Solved the problem in less than 10 minutes. This is a really useful piece of kit when you need it. Now in store ready for the next time. Excellent. Rated 1 out of 5 by Jordian from Rubbish product Bought this a week ago used it once, did nit mange to open a back nut. Waste of money, planning to take it back. Rated 5 out of 5 by Rushy from just absolutely perfect in every possible way. I am sure we all hate that time when taps have to be changed. Hours of struggling in awkward positions. Well, not any longer with this little beauty. well designed to cater for all eventualities. Changed the taps in record time of less than 30 mins. Can’t wait to use it again and again. Anybody want s tsp changing? Rated 5 out of 5 by scamp302 from good kit,. good for getting into tight spoaces. one & only drawbackthe kit could do woith an intermidate extention bar there were 2 with kit,but one too short other too long. I got the right size out of my own toolkit, so no problem!